Education: University of Akron-Bachelor of Arts in Special Education; Ashland University-Masters of Education in Curriculum and Instruction-Reading Literacy. 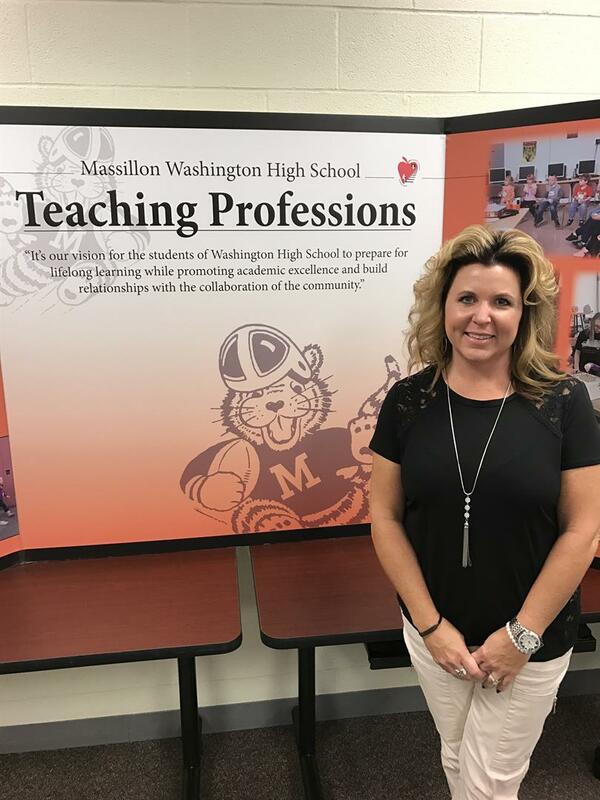 Work Experience: 23 years with the Massillon City School District: 17 years as an Intervention Specialist, 7 years as CTE Teaching Professions Instructor at Washington High School. Hobbies: Spending time with husband and three daughters, softball and gardening. The Teaching Professions program is designed to prepare students for a teaching career and allows for college credit opportunities. I believe this course provides many opportunities for the high school student such as communication and technology skills. Students in Teaching Professions focus on key concepts which include: a career in education, teacher professionalism, creating environments for student learning, and organizing content knowledge for student learning, etc. Upon successful completion of a portfolio, students can earn college credit. This program is an opportunity to work with children in Massillon City Schools and gain experience for a teaching career. Credentialing Opportunity: CPR Certification, Paraprofessional Certification.